Someone on Reddit with the username numbhallow posted this on the social networking site. It's a poster featuring a picture of a dog and information about it. The poster was taped on a pole in Breckenridge, Colorado. 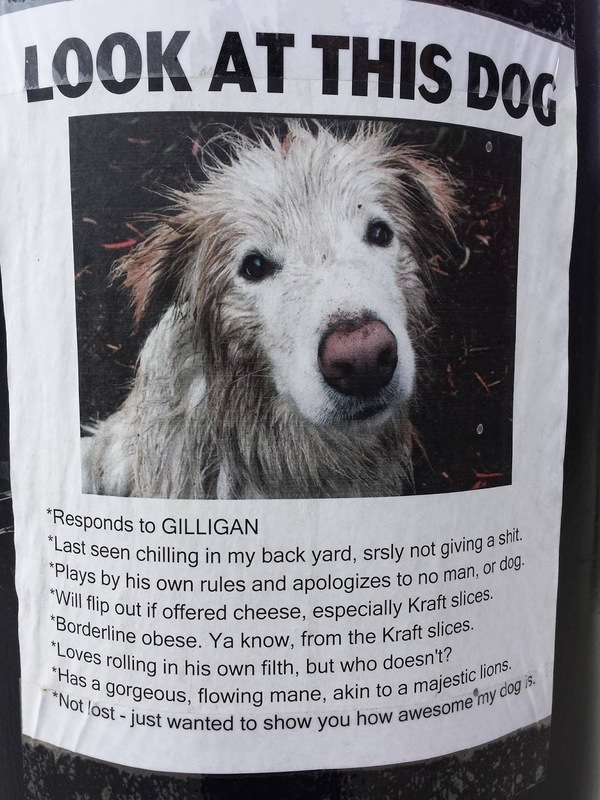 By the way, the dog's name is Gilligan.